Dr. Phanindra Goyari is currently a Professor in the School of Economics, University of Hyderabad, where he has been employed since December 2000. Recently, he has successfully completed his UGC Raman Fellowship period and Post Doctoral Research works at Texas Christian University, Fort Worth, in USA. ‘Dr. Abdul Kalam Gold Medal Award 2017’ was recently awarded to him by the ‘Global Economic Progress and Research Association’ for his individual achievement in ‘Education and Research’, for his contributions towards ‘Guiding Research Scholars, Research Publications and Teaching of Economics’. He has more than 18 years of teaching experience in Economics at the master degree level. Before joining this university, he worked for a short period as a regular Lecturer in the Department of Business Economics at the VBS Purvanchal University, Jaunpur. He completed his MA Economics with Silver Medal from Gauhati University. He obtained his MPhil degree from Indira Gandhi Institute of Development Research (IGIDR) Mumbai and PhD degree in agricultural economics from the University of Hyderabad. He has been teaching Econometrics, Model Building and Simulation in Economics, Microeconomic Theory, Mathematical Methods for Economics, Optimization in Economic Theory and Statistics for Economics to MA and IMA students. His present research interests are broadly in agricultural economics (with special reference to summer paddy and irrigation development, weather risks and nonparametric econometric modeling), tourism economics, tribal and development issues of Northeast India. 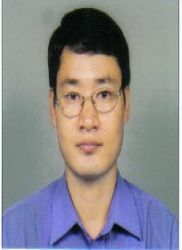 Publications of his research team have appeared in many refereed journals. He has 4 books to his credit till now. He has been guiding MPhil scholars (14 awarded, 3 ongoing) and PhD scholars (7 awarded, 1 submitted, 7 ongoing). His successful research scholars are now working as regular faculty members in various institutions like IIT Kharagpur, SMVD University, NIPFP New Delhi, IIT Palakkad, Apex Professional University, Ravenshaw University, North Orissa University, Central University of Jammu, and various colleges in India. Currently, he is a member of academic professional bodies like American Economic Association, Southern Economic Association (USA), The Indian Econometric Society, Indian Society of Agricultural Economics, Agricultural Economics Research Association, North Eastern Economic Association, Indian Commerce Association and Indian Association of Social Sciences. 33. Statistical Modeling of Crop-Weather Relations in India: A Survey on Evolutionary Trend of Methodology”, in: Asian Journal of Agriculture and Development, ABDC Ranked “C” Journal, ISSN: 1656-4383, Vol. 15, No. 1, pp. 43-60, June, (2018), (Co-author: Kirtti Ranjan Paltasingh). 31. “The Nexus between Saving, Investment and Growth in India: Evidence from Cointegration and Causality Tests”, in: Economic Alternatives, ISSN: 1312-0818, 2018(1), (Co-authors: Inder Sekhar Yadav and R K Mishra). 30. “Measuring Financial Inclusion of Indian States: An Empirical Study”, in: Indian Journal of Economics and Development, ISSN: 2277-5412, Vol. 14, No. 1, pp. 111-118, January-March (2018), (Co-author: Susanta Kumar Sethy). 29. “Agricultural Growth and Production Variability of Principal Crops in India: An Empirical Investigation”, in: Advances in Plants & Agricultural Research, ISSN:2373-6402, Vol. 8, No. 1, pp. 50-56, (2018). (Co-author: Asis Kumar Senapati). 28. “Indian Agriculture after the Green Revolution: An Overview”, Chapter 2 in the book: Indian Agriculture after the Green Revolution: Changes and Challenges, ISBN-978-1138286290, Routledge, New York 1st Edition, Edited by B Goswami, M P Bezbaruah and R Mandal, pp-8-28, (2018), (Co-authors: Kirtti Ranjan Paltasingh and Kiril Tochkov). 27. “Rice Ecosystems and Adoption of Modern Rice Varieties in Odisha, East India: Intensity, Determinants and Policy Implications”, in: The Journal of Developing Areas, ISSN: 0022-037X, ABDC Ranked “B” Journal, Vol. 51(3), Summer (2017), pp. 197-213 (Co-authors: Kirtti Ranjan Paltasingh and Kiril Tochkov). 26. “Determinants of Sovereign Bond Yields in Emerging Economies: Some Panel Inferences”, In: Theoretical and Applied Economics, Print ISSN: 1841-8678, Online ISSN: 1844-0029, Volume XXIII (2016), No. 3(608), Autumn, pp.101-118. (Co-authors: Sri Hari Naidu A. and B Kamaiah). 25. "Inter-State Industrial Structure and Performance Vis-à-vis India: A Comparative Study of Indian States using ASI Data", In: Man & Development, (Quarterly Journal), ISSN: 0258-0438, pp. 131-164, Vol. XXXVIII, No. 1, March, (2016), (Co-authors: R K Mishra and Inder Sekhar Yadav). 24. "Opportunity Cost of Illness and Occupational Classes: A Case Study of Balangir district of Odihsa", In: Artha Vijnana, ISSN: 0971-586X, Vol. LVII, No. 3, pp.211-231, September, (2015). (Co-authors: Susanta Nag, G. Sridevi and Inder Sekhar Yadav). 23. "Climatic Risks and Household Vulnerability Assessment: A Case Study of Paddy Growers in Odisha", Agricultural Economics Research Review, ISSN: 0971-3441, Vol. 28 (Conference Number), pp. 199-210, November (2015), (Co-author: Kirtti Ranjan Paltasingh). 22. "Economic Determinants of Fixed Investment: Panel Evidence from Indian States using ASI Data", Journal of Economic Policy and Research, ISSN: 0975-8577, Vol. 10(2), pp. 1-20, April, (2015). (Co-authors: R K Mishra and Inder Shekhar Yadav). 21. “Irrigation Difference and Productivity Variations in Paddy: Field Evidences from Udalguri District of Assam”, Indian Journal of Agricultural Economics, ISSN-0019-5014, January-March, Vol. 69(1), pp.89-106, (2014). 20. “Analyzing Growth and Instability in Subsistence Agriculture of Odisha: Evidence from Major Crops”, Agricultural Economics Research Review, 26(CN): 67-78, (2013). (Co-author: Kirtti Ranjan Paltasingh). 19. “Supply Response in Rainfed Agriculture of Odisha, Eastern India: A Vector Error Correction Approach”, Agricultural Economics Review, Vol. 14(2), (2013). (Co-author: Kirtti Ranjan Paltasingh). 18. “Educational Status of Tea Plantation Women Workers in Assam: An Empirical Analysis”, Asian Journal of Multidisciplinary Studies, Vol. 01(3), pp. 17-26, (2013). (Co-author: Dipali Bosumatari). 17. “The Domestic Saving-Investment Relationship in India: Evidence from Cointegration Tests”, The Indian Economic Journal, Vol. 60(4), January-March, (2013), (Co-author: Inder Sekhar Yadav). 16. “The Profitability and Size of Indian Companies: An Empirical Analysis”, The South Asian Journal of Management, ISSN-0971-5428, Vol.21(1), Jan-March, (2014), (Co-author: Inder Sekhar Yadav). 15. “Determinants of Corporate Fixed Investment: Panel Data Evidence from India”, Journal of Economic Policy and Research, October 2012 to March 2013, 8(1): 180-207 (2013). (Co-authors: Inder Sekhar Yadav and Naresh Kumar Sharma). 14. “Measuring Weather Impact on Crops through Aridity Index: Evidence from Orissa”, Agricultural Economics Research Review, Vol. 25(No.2) July-December (2012), pp.205-216, (Co-authors: Kirtti Ranjan Paltasingh and R K Mishra). 13. “Abundant Water Resources and Low Irrigation: Some Issues for Paddy Cultivation in Assam”, in A Jyotishi, S Mahapatra and M Bavinck (Eds. ), Legal Pluralism in Natural Resource Management: South and South-East Asian Perspectives, Excel India Publishers, New Delhi, (2012), Pp. 56-72. 12. “Measuring Agricultural Growth and Crop Diversification: Evidence from Odisha”, in R K Mishra, S Sailaja and S Kolluru (Eds), Econometric Applications for Managers, Allied Publishers, New Delhi, (2012), pp. 42-62. (Co-authors: Kirtti Ranjan Paltasingh and R K Mishra). 11. “Corporate investment and firm’s financial policy: Panel evidence on cointegration and causality in India”, Finance India, September, XXVI(3): 817-844 (2012). (Co-authors: Inder Sekhar Yadav and Naresh Kumar Sharma). 10. “Commodity Futures Market in India: An Econometric Analysis”, The Indian Journal of Economics, Volume XIC, No. 363,Part IV, April, (2011), p.699-717. (Co-author: Pratap Kumar Jena). 09. “Working women households and time-saving consumption in Kerala”, South Asia Research, Vol. 31(2), July (2011), pp. 119-134 (Co-author: Shalina Susan Mathew). 06. “Determinants of capital structure of corporate firms: Panel data evidence from India”, Asian Economic Review, Vol. 52(2), August, (2010), pp.331-355. (Co-authors: Inder Sekhar Yadav and Naresh Kumar Sharma). 05. “Flow of institutional credit to agricultural sector in India: An analysis of five major states”, in Pandey, R.K. et al. (Eds), Perspectives on Agripreneurship and Rural Development, Excel India Publishers, New Delhi, (2009), pp. 247-264. (Co-author: Devonath Narzary). 04. “Input-specific risk in HYV and traditional paddy cultivation: An analysis of agricultural practices in Assam”, The ICFAI University Journal of Applied Economics, Vol. VII (6), November (2008), pp. 64-81 (Co-author: Naresh Kumar Sharma). 03. “Scarcity in the midst of plenty: Irrigation development for water abundant Assam”, article in M. D. Kumar (Ed), Managing Water in the Face of Growing Scarcity, Inequity and Declining Returns: Exploring Fresh Approaches, Vol. 2, (2008), pp. 586-600, Conference proceedings of 7th Annual Partners’ Meet of IWMI-TATA Water Policy Research Program, ICRISAT Campus, Patancheru. 02. “Regional food security grids: Can Assam be the future granary of the North-East India?” article in R. Lal and H. C. Purohit (Eds.). ‘Rural Development and NGO’, January (2007), Sree Publishers and Distributors, New Delhi, pp. 175-187. 01. “Flood damages and sustainability of agriculture in Assam”, Economic and Political Weekly,Vol. XL (26), June 25, (2005), pp. 2723-2729.